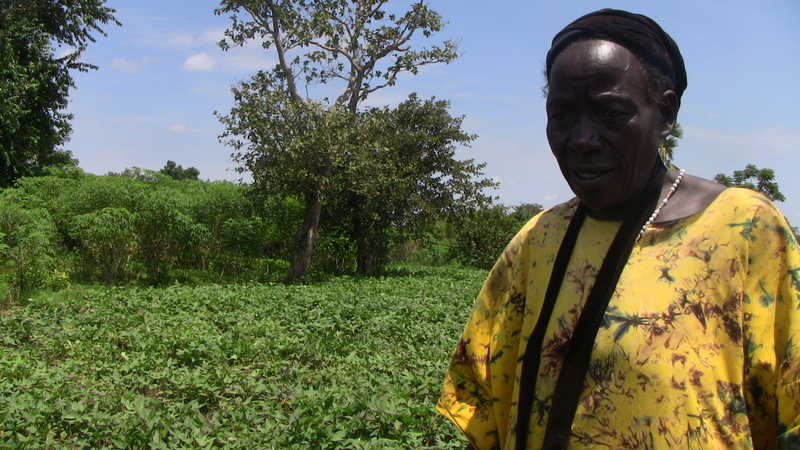 Perpetua Okao is an OFSP farmer and vine multiplier in Atego village, near Lira, Uganda. The 63-year-old mother of 10 is a farmer in Atego village, about three kilometres from Lira, in northern Uganda. She grows orange-fleshed sweet potatoes to eat and sell. But she also makes money providing other farmers with the potato vines that are required to plant the crop. Monica Acan is a broadcaster at Radio Wa, a radio station which targets people in the Lango sub-region, which includes Lira. She is both the host and producer of the Saturday night program, Wa Farmer, which means “Our Farmer” in the local Luo language. In July 2013, Farm Radio International and Radio Wa teamed up to launch Poto Wa Tin [Our Garden Today], a program which airs live every Monday evening. It is edited and re-broadcast on Friday afternoons. Orange-fleshed sweet potatoes, like carrots, pumpkins and other orange-fleshed foods, are rich in beta-carotene, a compound that the body converts to vitamin A. Vitamin A is important for human growth and development, and also helps maintain the immune system and good vision. Mrs. Okao feeds the fleshy orange potatoes to her children. She is convinced that they benefit from the sweet, tasty tubers. She advised a friend that the woman’s sick baby twins would benefit if the mother added the nutritious potatoes to her children’s breakfast porridge. Mrs. Okao flips through a ledger book with the names and details of farmers who have purchased bags of vines from her, some on numerous occasions. She receives calls from all across northern Uganda. Farmers from as far away as Pader, Kitgum and Gulu have purchased vines. Adam Bemma is a journalist and media development advisor. #Cuba: Snapshots of #Havana. I don’t buy many gifts on my travels. The last time I came to Havana I bought a few Che Guevara and Jose Marti books in Spanish, but while browsing bookstores this time I realized how very few books are available to purchase. Just the same old agitprop. At the half empty supermarket a clerk handed me this three CUP (Cuban Peso) coin. Cuba has two currencies. The CUC (Cuban Convertible Peso) is meant for tourists and is pegged to the dollar, while CUP is the money used by locals every day. This Che “Patria o muerte (homeland or death)” coin tells Cuba’s recent history as it was minted in 1990 after the fall of the Soviet Union (it was Cuba’s main benefactor). In the 1990s, Cuba went into its “periodo especial [special period]” of economic decline. I imagine this coin was meant to inspire Cubans to pull through hardship. Propaganda is art.